Not only is Kinlay House close to a great selection of places to eat and drink, but it's also within walking distance of top attractions including the Guinness Storehouse, Dublin Castle and Trinity College. While this is a popular choice for budget accommodation in this desirable area, never fear - should Kinlay House be fully booked when you plan to visit, their sister property Avalon House is only a short walk away. 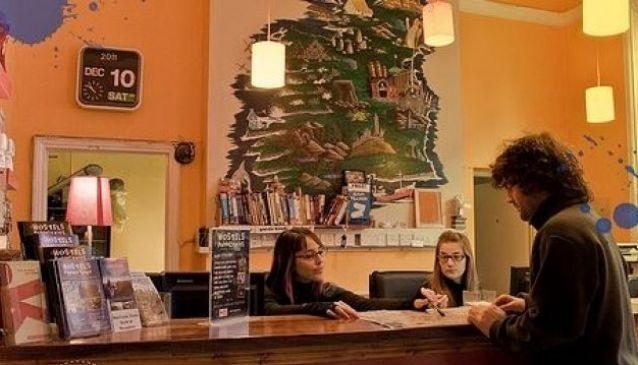 Kinlay House prides itself on being a friendly hostel, where they can offer a bed to meet just about any need. There's a selection of single, double, twin, triple, four-bedded and six-bedded rooms - many with a private ensuite bathroom to make your stay just that little bit more comfortable. For the budget conscious, there's a choice of three magnificent hostel dorms sleeping between 16 and 24 people. These rooms are also ideal for the many school, college and sports groups who make Kinlay House their temporary home. All rooms are available to book online - and you'll always be sure to get the best rates when you do. Safety and security are high on the list of priorities and all rooms operate on an electronic locking system, with all guests being given their own electronic key card. Everyone from 0 to 100 is welcome at Kinlay House, but please note that any guests under the age of 16 must be accompanied by an adult and cannot share dormitory rooms. At Kinlay House, it's not just about a bed for the night - they organise loads of activities on a regular basis, from free homemade pizza evenings to free day trips to barbecues. Rest assured, whichever type of accommodation you choose you will enjoy the friendly and efficient service that Kinlay House Dublin is renowned for.